Original engines: Twin 175hp Hall-Scott gasoline. BLUE PETER cruises at 12 knots using only 18 gallons of fuel per hour. In 1973, she was repowered with her present pair of Caterpillar diesel 334s with 3:1 reduction gears swinging her two 48" five bladed propellers. 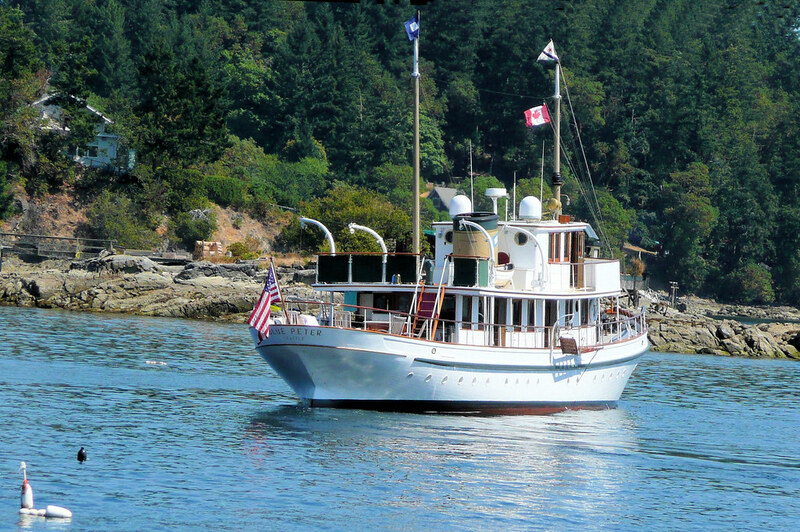 She carries 2,000 gallons of fuel and 2,200 gallons of water, giving her ample range at a good and comfortable speed. Horace McCurdy with Blue Peter model, 1967.